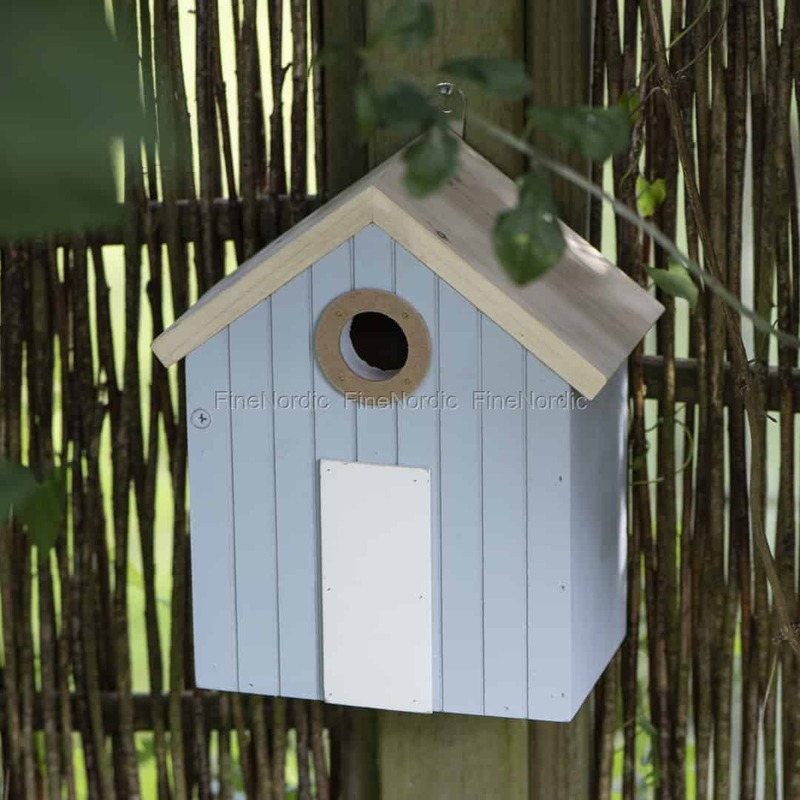 Be honest, if you were a little bird looking for a place to build a nest, wouldn’t this beauty suffice? We think so! 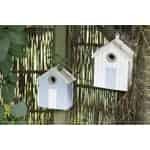 The pretty beach house bird house by Ib Laursen looks just like what its name suggests: a beach house. 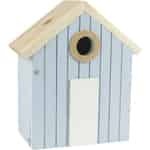 Its light blue sides and natural wood roof offer a nice contrast to its white door. Above the door, you can see a round opening, which is just big enough for a small bird to enter. 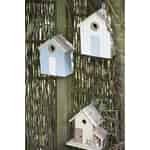 That means it keeps the predators outside and no matter if it is raining or hailing, the little bird can enjoy the bird house’s dry and cozy inside without any worries. That way it can just concentrate on building a nice comfy nest in there. 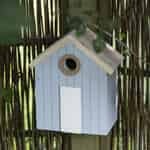 Once the baby chicks have hatched and mom bird and fledglings have left the premises, you can easily clean out the bird house by opening its one side. That way it’ll be ready to offer shelter for the next little nesting bird.